Fortyfive years ago today — July 4, 1968 — a Thor Delta rocket launched from Vandenberg AFB carrying the latest in NASA’s Explorer series of spacecraft. 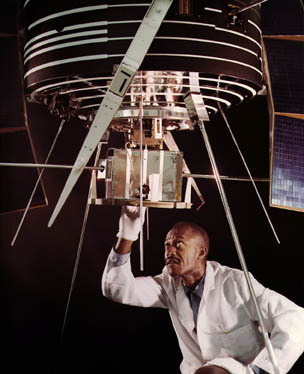 Radio Astronomy Explorer 1, also known as Explorer 38, was designed to observe celestial radio sources — natural sources like the sun — and record the intensity of their signals over time. Despite several malfunctions, including degradation of its tape recorder, the spacecraft produced good data for scientists to examine.